Valentine’s Day, okay let’s be real here… the whole month of February, is the perfect time for desserts and sweets of all kinds. Chocolate is my favorite. 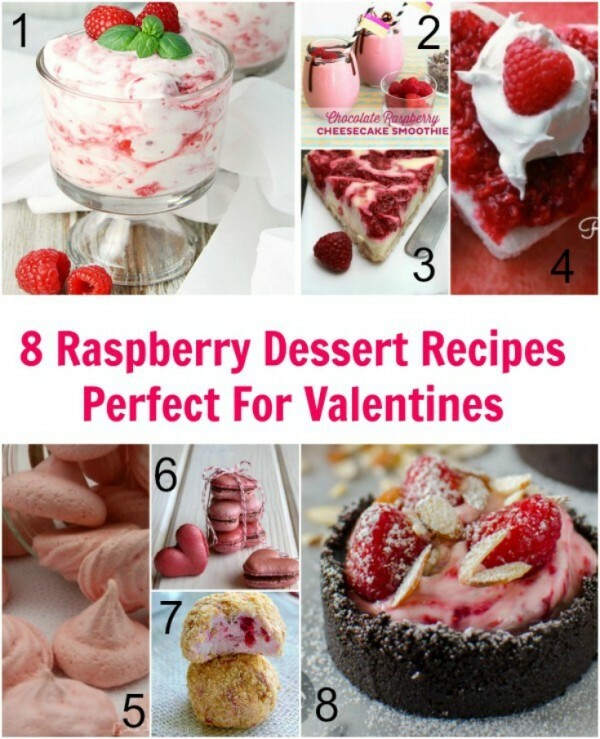 Chocolate in any dessert is fine by me, but I also love raspberry desserts, especially for Valentine’s Day. 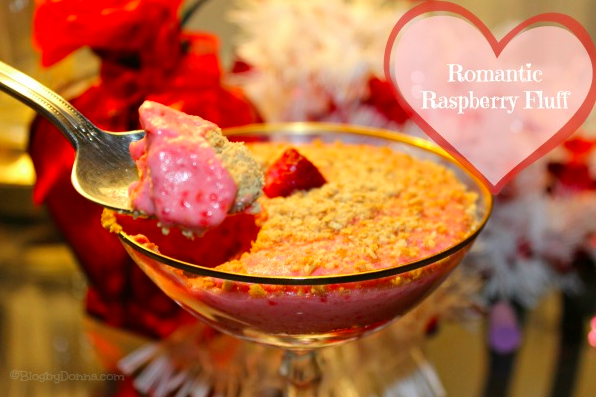 I made this Romantic Raspberry Fluff (it’s super easy, too) Valentine’s Day before last. You can make a dessert for two just to share with your someone special or like me for your family. My son is definitely one of my Valentines. We love smoothies, so I can’t wait to try the Chocolate Raspberry Cheesecake Smoothie. It sounds yummy! And I think number 8, the no bake cheesecake with raspberries and lavender looks simply divine. That may be the raspberry dessert for Valentine’s day for me. I know I’m going to have fun trying them out… you gotta test them out first. You don’t want to wait until Valentine’s Day to make them and have a dessert fail. I hope you enjoy these raspberry desserts and have a very Happy Valentine’s Day! Remember, if you like this post, please take the time to follow all my projects and finds here on Pinterest and pin 8 Raspberry Desserts for later. Thanks for including our recipe in this yummy collection!! That raspberry fool recipe has my name ALL over it!! All of these look amazingly delicious & I want to make a few for my family for Valentines! My husband’s favorite dessert is cheesecake so theChocolate Raspberry Cheesecake Smoothie will be perfect. Thanks for sharing! These all look so good! I love raspberry flavored anything. Raspberry is a signature Vday flavor. I am more of a strawberry girl but these recipes looks so good!